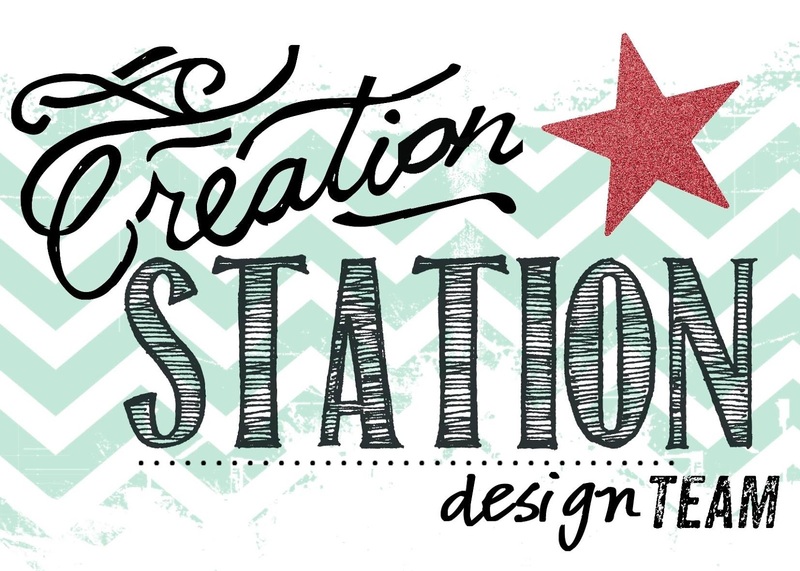 Hello, and welcome to the Creation Station Design Team Blog Hop for November! You are visiting Denita - from Australia, and I am so happy for you to have hopped to my blog. 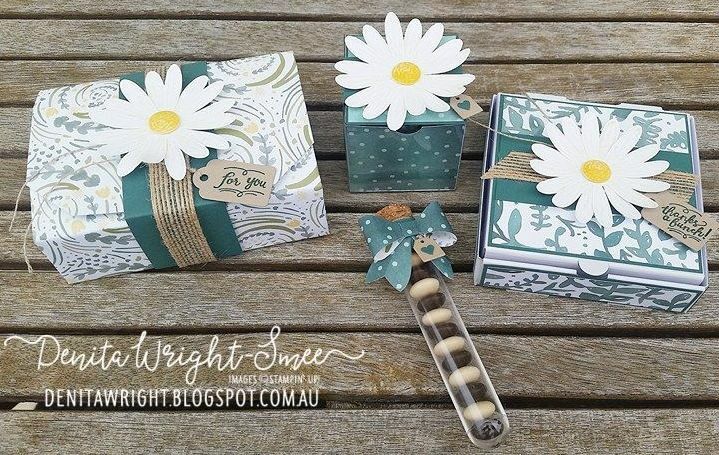 The Design Team have a 'Perfect Packaging' Theme, and there are so many different ideas and inspiration for you to see. 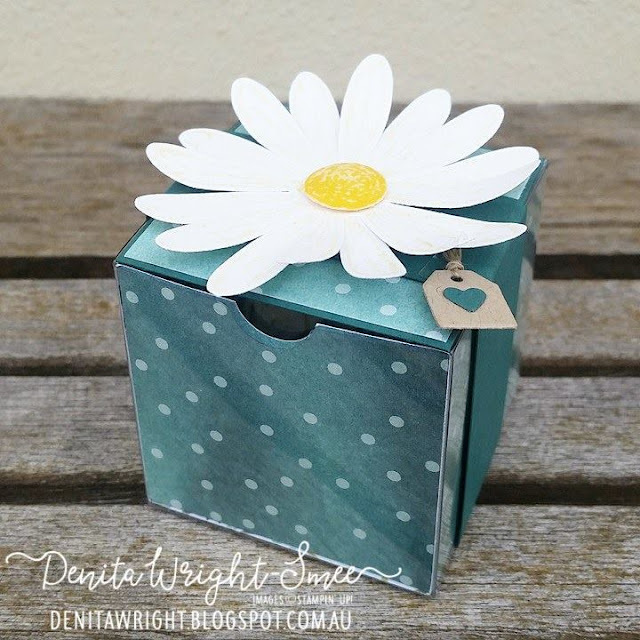 Rectangular Origami Box - this little box is just delightful, I have used the 'Delightful Daisy' DSP and there is no adhesive required for the construction of this box! 1 sheet 12" x 12" DSP of your choice & a Bone Folder. You can find the step-by-step tutorial here. Complete with photos and instructions. I always add a belly band. 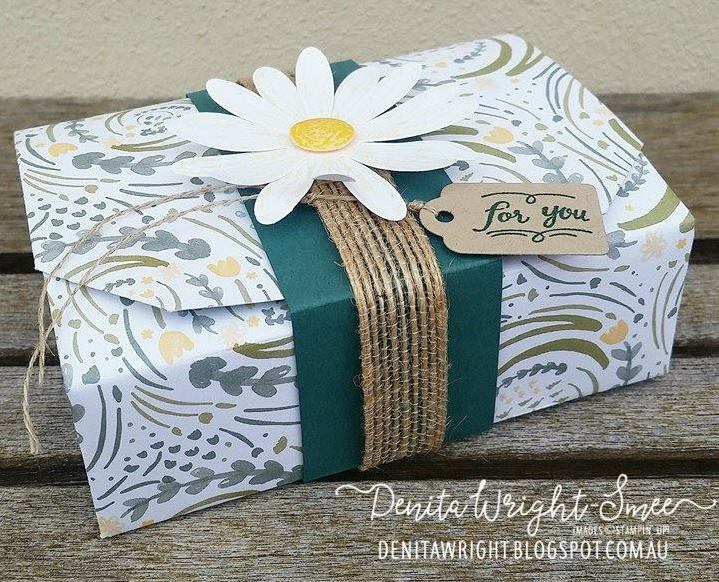 I used 'Tranquil Tide' cardstock with 'Burlap Ribbon'. 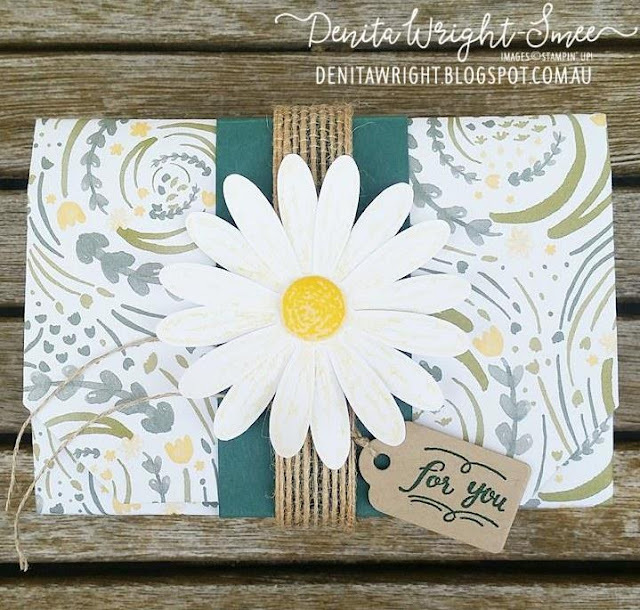 The 'For You' sentiment & tag are from the 'Wood Words' Bundle, and was just what I needed. The 'Daisy Delight' stampset and coordinating 'Daisy Punch' was a lovely touch. 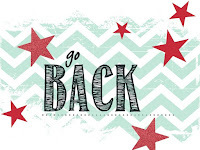 Now for some Stampin' Up! 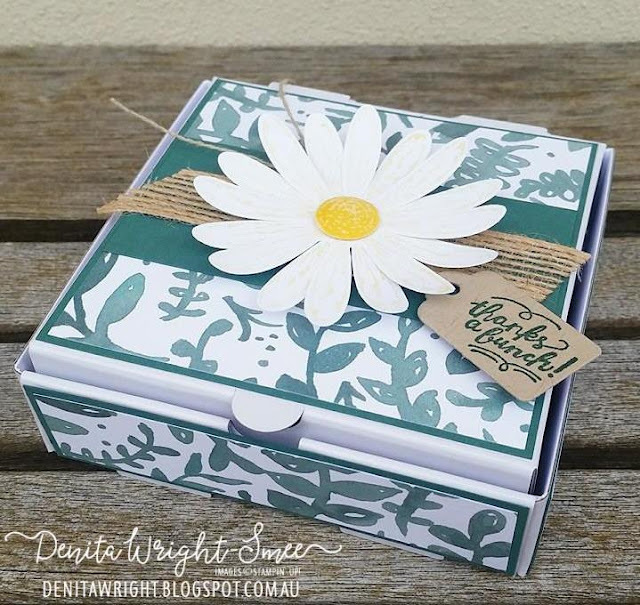 Perfect Packaging ideas that you can find in the Annual Catalogue and Holiday Catalogue! Mini Pizza Boxes - found in the Holiday Catalogue. The cutest 'Mini Pizza Boxes' you ever have seen! 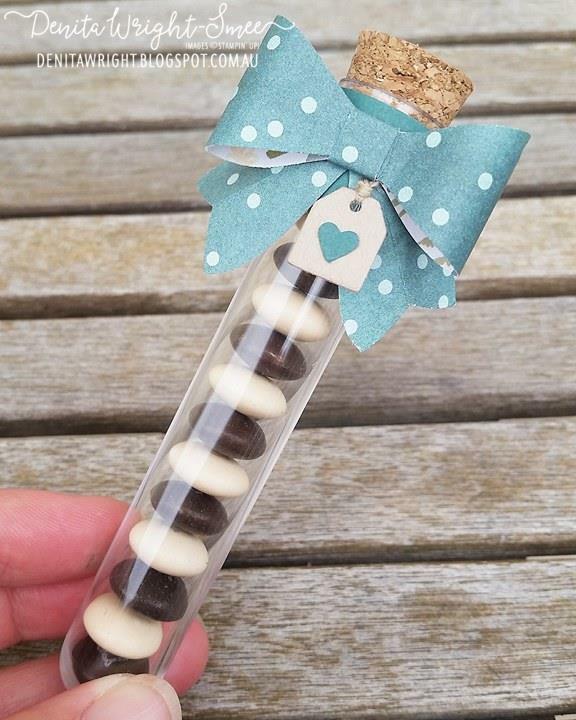 And you can fill them with a gift, notecards, treats - whatever you like! Clear Tiny Treat Boxes - another sweet packaging option in the Annual Catalogue. 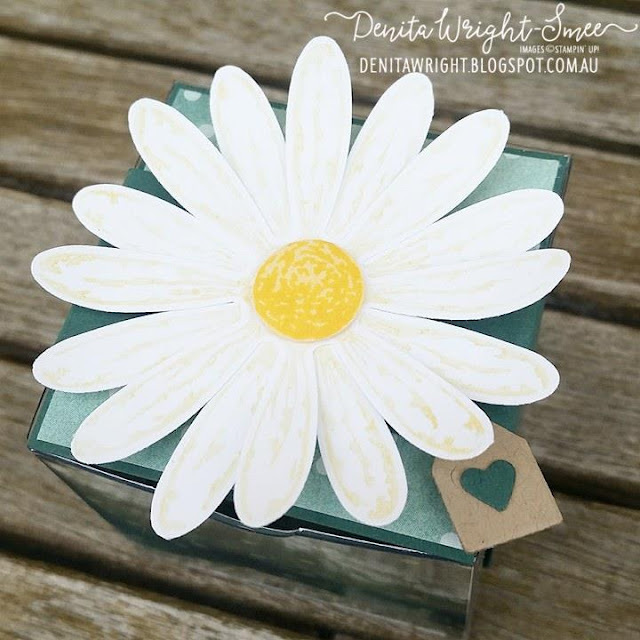 I have cut 2 strips of 'Daisy Delight' DSP measuring 15cm x 4.8cm, and scored at 5cm & 10cm. I placed them inside the 'Clear Tiny Treat Box' - no need to adhere. The punched daisy was inked with 'So Saffron' ink and the middle was stamped with 'Daffodil Delight' and punched with the '1/2" Circle Punch'. Treat Tubes - seriously adorable!!! You can find these in the Holiday Catalogue, and they are just too cute not to share. Filled with M&M's and a lovely little something for any occasion, and for anybody. I wrapped 'Tranquil Tide' cardstock 1 1/2cm (10/16") around the top of the tube with 'Tear & Tape Adhesive' to secure. 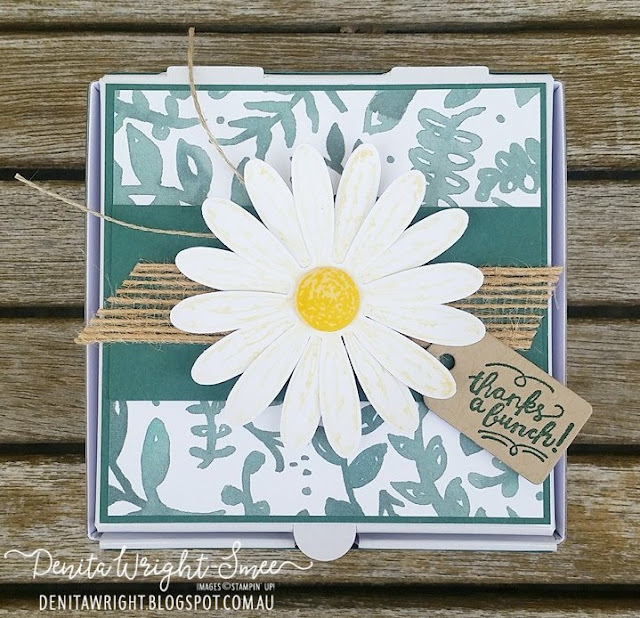 The 'Bow Builder Punch' made that gorgeous little bow from the 'Delightful Daisy DSP'. 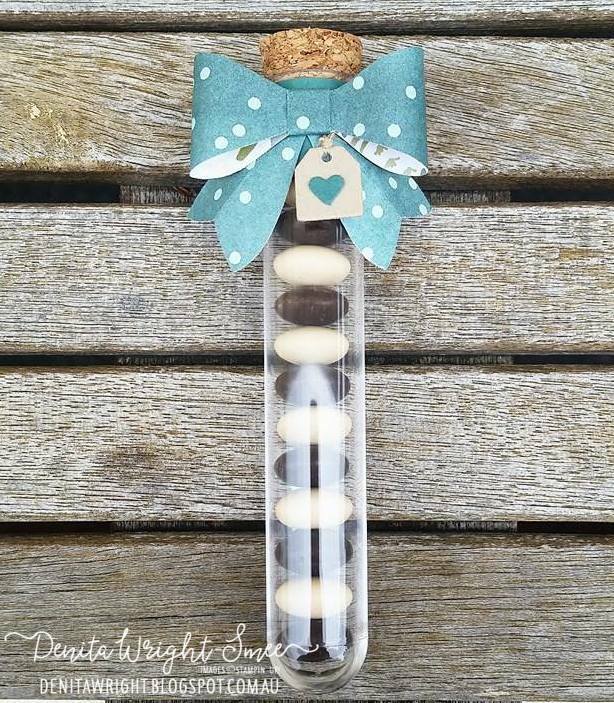 I have bombarded you with 'Perfect Packaging' ideas, and I hope you take on my inspiration or make something similar with whatever occasion. 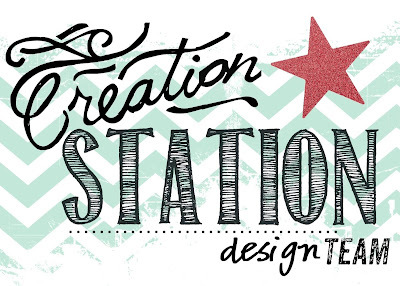 Below are all the products used for my 'Creation Station - Perfect Packaging' creations. 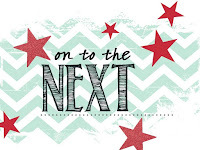 Click on a thumbnail to be taken to my Online Store, and browse the Stampin' Up! 2017-2018 Annual Catalogue - it's amazing! And now you can visit the 2017 Holiday Catalogue - available 1st September until 2nd January 2018. The content of this blog is the sole responsibility of the site owner, an Independent Stampin' Up! demonstrator. The use of and any content of any posts, classes, services or products offered is not necessarily endorsed by Stampin' Up!